When members of the public attend your function, A public address system is a great way to keep them informed about key events. 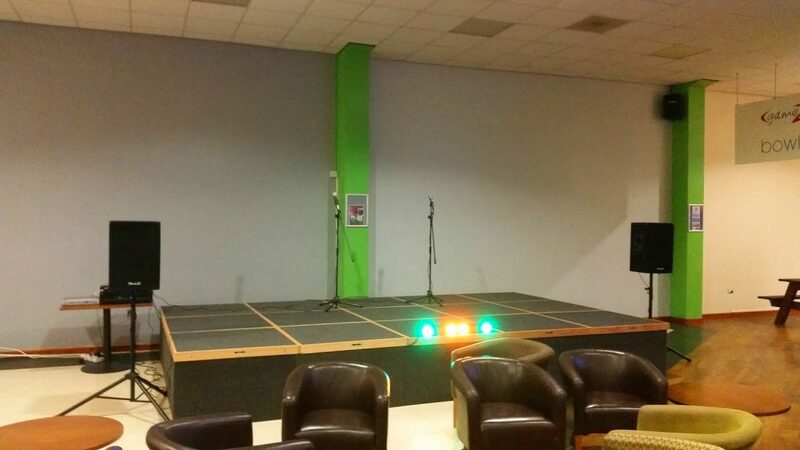 It might be that raffle tickets are on sale, or maybe that a performance is about to start. No matter what it is, Grab their attention and help make your function a success! I know, I know… just the mention of H&S strikes fear into any event organiser. But did you know Public Address Systems are a really effective way to appease health and safety regulations? Not to mention your public liability insurance may actually stipulate the need for one! 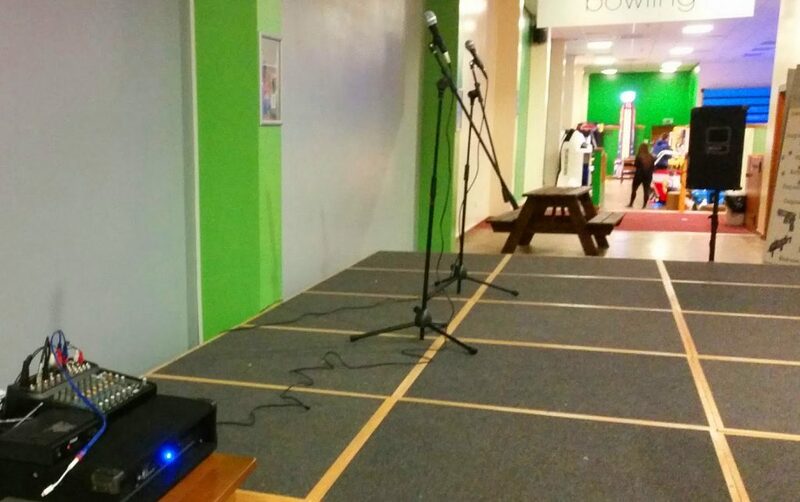 Speakers on sturdy tripod stands – Sound from speakers on stands will travel much further than floor standing speakers. Microphone(s) – To make your address or announcements. Corded and wireless microphone options, Microphone stands available. Mixing Desk – A Desk housing the Amplifier, Mixer and cables to power the PA system. The mixing desk will have a variety of inputs. Great for multiple microphones, and music from external sources such as an i-pod. 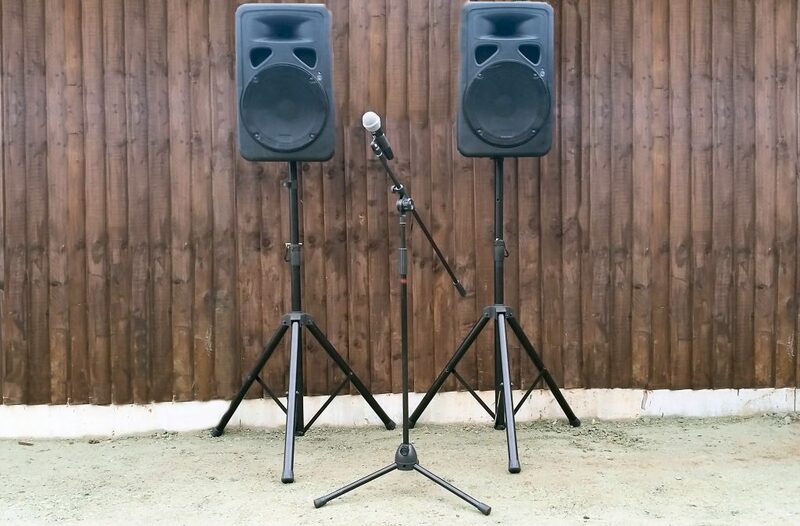 The speakers we use for PA hire focus their power / frequency response in the mid to high range. This means they are BEST suited for voice applications such as public address announcements. They will of course play music should you require it but we must highlight that they are not designed to fully replicate the lower frequencies. We only advise light background music with these systems. 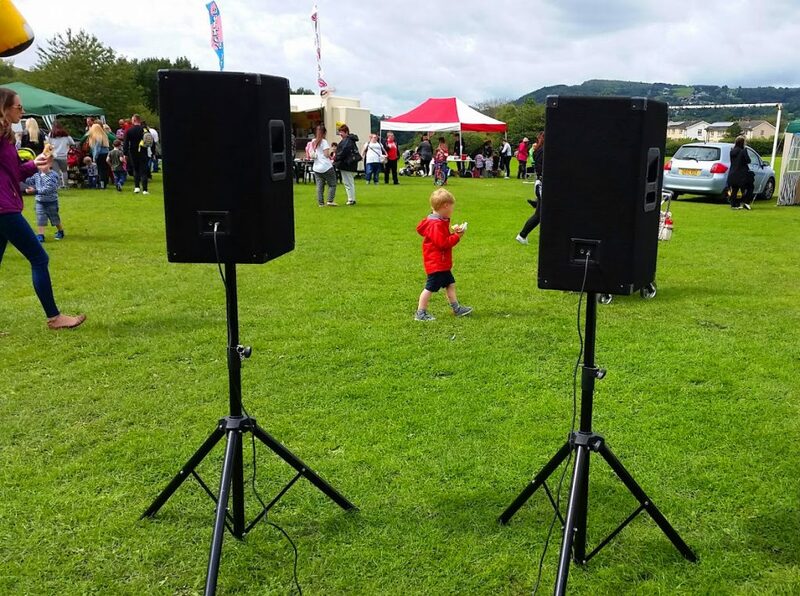 Our P.A systems are NOT water proof however in the event of light rain we can provide speaker covers. 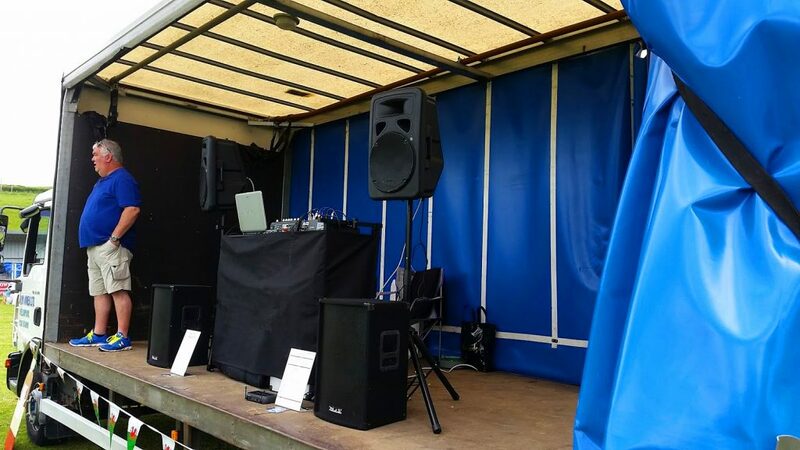 The mixing desk MUST be kept dry at all times, This means the use of a Gazebo (Not provided) or siting under cover. Public Address Trailer. Note the Raised speakers on stands for voice announcements and Floor speakers for music. Behind the scene’s view… Standing on the PA trailer. 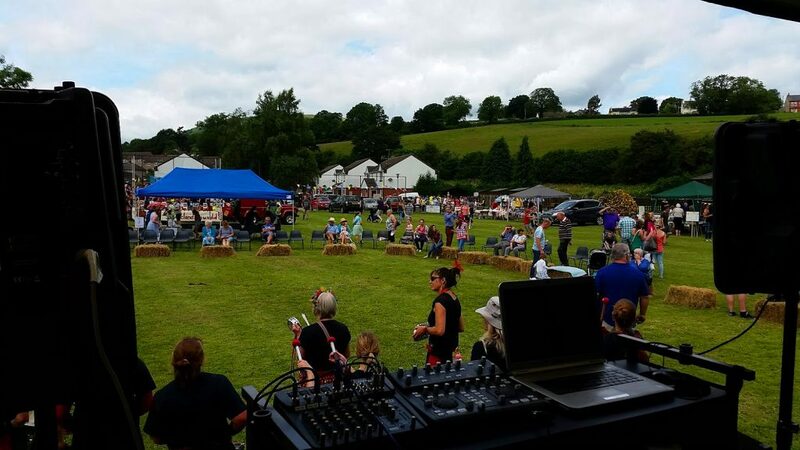 This carnival event required Public Address and Music. We stayed throughout the event, Playing music between announcements and performances. Interested in hiring our PA equipment?